Air stream drying is also known as momentary drying. Since the 1960's this method has been applied in the pharmaceutical industry. When we began, we gathered advanced technologies both from home and abroad to provide high quality airstream drying equipment at economical prices to the pharmaceutical industry, chemical industry, foodstuff industry, and more. We have developed four series of products: the Q series: basic type; QG series: fan and distributor type; JG series: reinforce type. 1.The drying capability provided is great and the investment is small. The area which can be treated is great, and the evaporated moisture capacity of our air stream drying equipment is 50-1500kg/hr. This is much greater than other air stream drying equipment. 2. It is highly automated and the drying time is short (only 0.5-2 seconds). The raw material does not contact any outside contaminants, so the pollution is small and the quality of the product is high. 3. The airstream drying equipment comes complete, and you can choose the type of heat source used. The basic Airstream Drying Equipment consists of a filter, heater, feeder, drying pipe, fan, and cyclone separator. Customers can add a duster or other auxiliary equipment according to individual needs. You can choose steam, electricity or air-heated furnace heat supply. 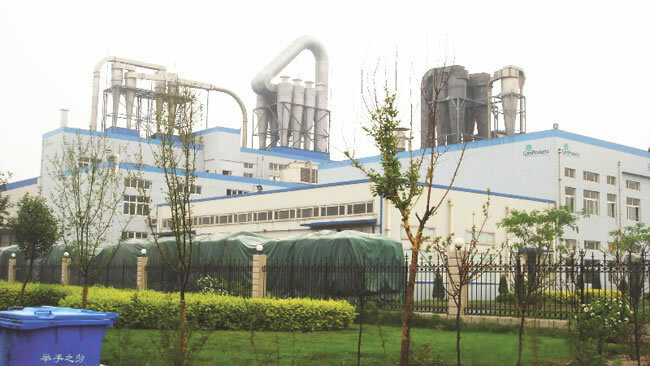 The type of heating used should be in accordance with the temperature of raw material worked on (or temperature of hot air): if≤150℃,choose steam to heat, if ≤200℃,electric or steam and electric as supplement or heat conduct oil); if ≤300℃,coal air-heated furnace; if≤600℃,oil air-heated furnace. Note: The date in the bracket at the line of equipped powers is the power of bag dusters. Explanation: The parameters above are for reference only. The dry strength is dependent upon many factors, such as the specific properties of raw materials and the operation temperature. The raw materials to be dried and heated air enter the dryer at the same time. Because the area of heat exchange is large, evaporation and drying can be accomplished in a short time. The dried finished product is discharged from the cyclone separator. Small particles of powder can be recovered and used through a cyclone separator or bag duster. The model Q air stream drying equipment is operated at negative pressure. The raw material does not pass through a fan. Model QG air stream dryer is operated at positive pressure. The raw material passes through the fan and is crushed. The model FG air stream dryer is a tail air circle type, and the model JG air stream dryer is a reinforced type. It integrates flash drying and air stream drying in one body and is also the newest style airstream drying equipment that we design and manufactured standardly, or per customer request. The airstream drying equipment offers quick and continuous drying and is capable of completing large batches with high heat efficiency. Even though it is suitable for different raw materials drying, there exist large differences between raw materials. In order to help customers choose their appropriate drying equipment, we provide technical consultation and an installation and arrangement plan, and we will make a test of raw materials, free of charge. As an experienced airstream drying equipment manufacturer and supplier in China, Xianfeng Drying also provides belt drying equipment, a flash evaporation drying machine, circle vibrate sieve, fluid bed granulator, and much more.